Discovery Family » Programs » Reno, Set, Go! Who doesn’t love rewarding a family member or close friend for constantly going the extra mile to brighten up your day? In Discovery Family’s new original series RENO, SET, GO!, premiering Monday, June 19 at 10/9c, everyday people, who’ve been thrown a curveball or two from life, get the ultimate surprise when friends and family work together to pull off a covert room makeover designed just for them. 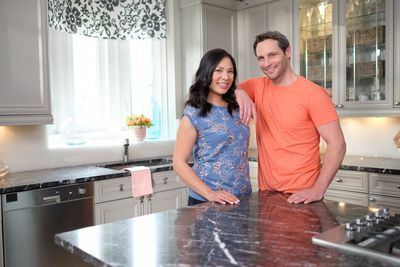 In each 30-minute episode of RENO, SET, GO!, a family and a team of expert craftsmen led by designer Cheryl Torrenueva and contractor Roger Morin perform a top-secret renovation for an unsuspecting homeowner while they are purposely kept out of the house. Nominated by their spouse or family member, each unknowing party thinks it’s just another normal day, but little do they know that they are about to receive an incredible makeover in one major area of their house from a special team of designers, contractors and numerous accomplices paving the way. From start to finish it’s a family affair and all hands are on deck as everyone works together to plan the design and execute a custom room renovation in under 36 hours.